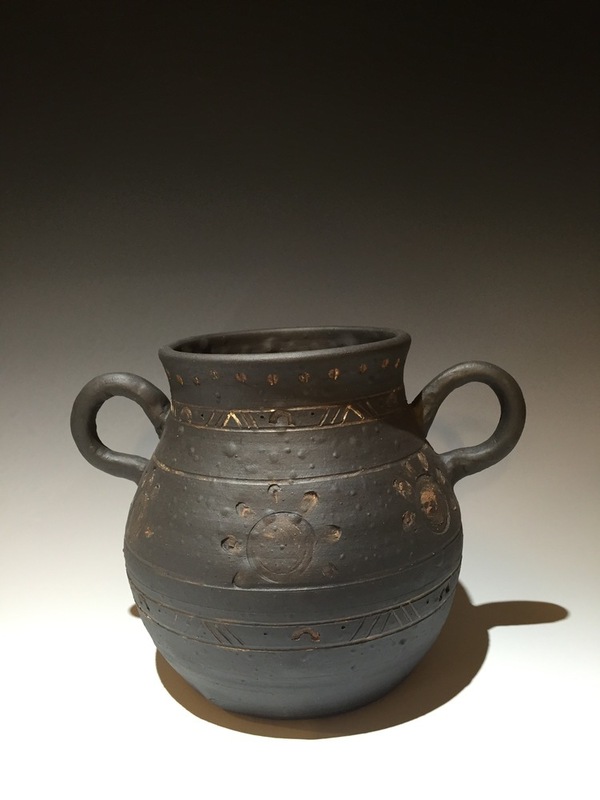 Our Cherokee Sun Dance pot is a work of art! It is made from black clay. It measures 8 inches tall and is 5 1/2 inches across. It is the type of piece that the Cherokee would have used during their ceremonies.